as i child, i hated going to ski school. each morning of “vacation” i pretended to be asleep for as long as possible in an attempt to delay the inevitable: skiing. i don’t know what fueled my resistance. once i made it to the slopes i always had fun. it was getting started that always seemed to be the trouble. 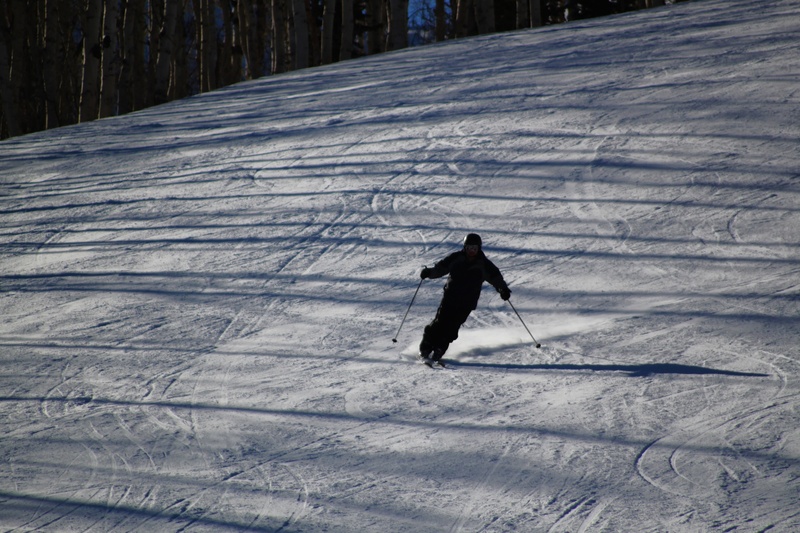 now skiing is one of my favorite hobbies-as well as a part time profession. i still find it hard to believe that i am the one teaching children how to ski in ski school…but not today. today i was able to ski as a hobby. today i was able to ski with my dad, who is the only reason i am able to ski at all. he is the one who always put me in ski school. no amount of kicking and screaming or crying and pleading would deter him from making sure i learned and progressed. i am grateful now for his determination. looking back, if i had to deal with myself i’m sure i would have given up on me. but not him. it’s a good thing. we make great ski partners now. it is one of my favorite hobbies.